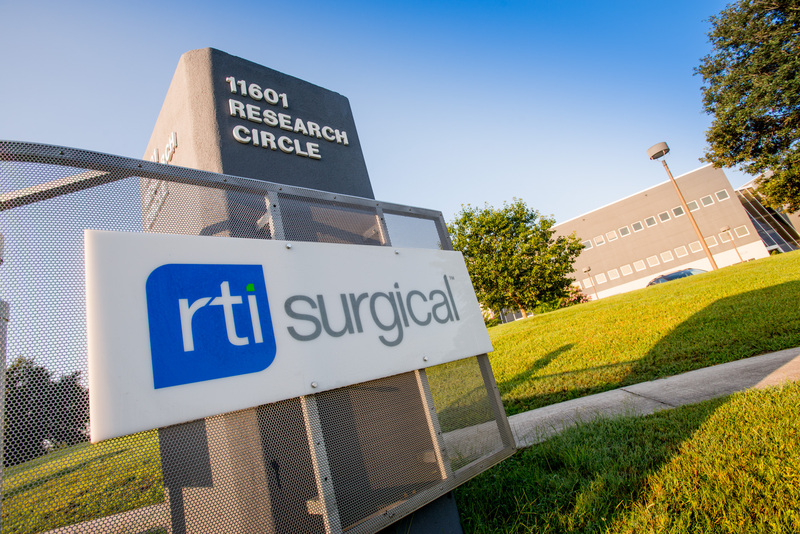 RTI Surgical® Expands Line of Matrices in International Markets - RTI Surgical Holdings, Inc.
ALACHUA, Fla. (April 18, 2017) – RTI Surgical Inc. (RTI) (Nasdaq: RTIX), a global surgical implant company, is pleased to announce the expansion of its extensive line of tissue matrices in international markets. RTI launched its latest addition to the Fortiva® Tissue Matrix line with Fortiva Tissue Matrix 1mm – a next generation tissue matrix derived from porcine dermis. Fortiva Tissue Matrix 1mm offers a consistently thicker matrix for breast versus the Tutomesh® 0.5mm Perforated, which stays longer and is targeted exclusively at breast reconstruction surgery, a market that continues to show solid growth for tissue matrices. RTI Surgical also offers the Tutomesh 0.5mm Perforated, a thin yet strong bovine pericardium with an average thickness of just 0.5mm. This complements the Cortiva™ 1mm Allograft Dermis, an option for patients that require an allograft alternative. With the addition of Fortiva Tissue Matrix 1mm, RTI is unique in offering this full range of tissue matrix options with different thicknesses, perforated and non-perforated variants, and three different source materials. ® indicates U.S. trademark registration. All trademarks and/or images are the property of their respective owners or holders.